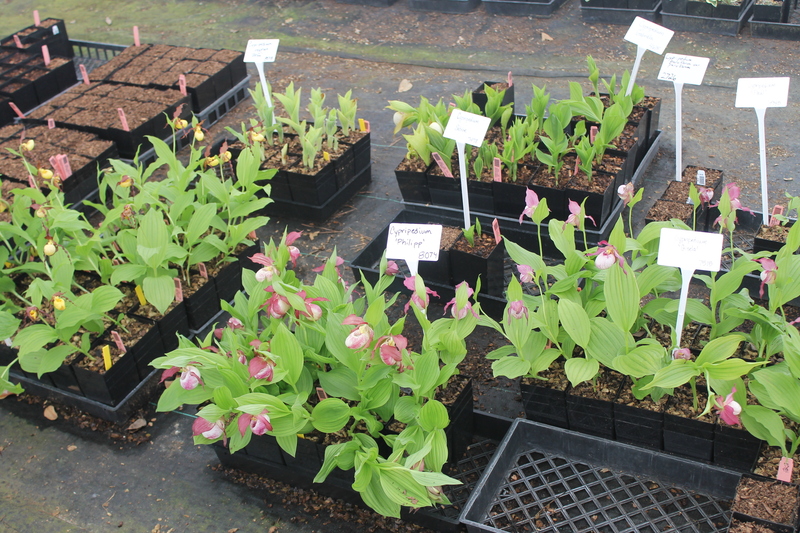 We’re really proud of how good a crop of Cypripedium orchids we have for sale this year. Julie and our growing staff have done a superb job. These should be in full flower for open house as well! We are still amazed how well these have grown for us here in the gardens at Juniper Level after everyone told us they wouldn’t survive our hot, humid summers. can these be ordered by mail? would like your business phone number.. Absolutely, we ship all the plants we list by mail. If you click on the blog link that says Cypripedium orchids in the text, it will take you to the sales page with our contact info…we’re at 919.772.4794. Thanks! Like you, I grew up with them in the woods around my home. Always loved ladyslippers.. My first experience was in 1940 age six in the woods around my home.